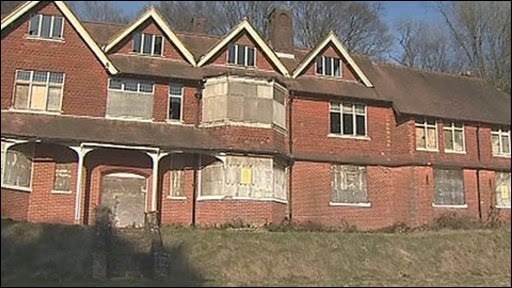 News has just come in that Undershaw, the former residence of Sir Arthur Conan Doyle's (from 1897 to 1907) has been saved. The property, one that Doyle himself helped design, was in danger of redevelopment. But it has now found a buyer and it looks as if the building will be used as a school. Undershaw, which is located in Hindhead, Surrey, was where Doyle wrote many of his best remembered stories, the most notable of these being 'The Hound of the Baskervilles'. Shortly after Doyle sold the house it was converted into a hotel and continued to be run as such until the hotel closed in 2004. Since then the building has fallen into a state of disrepair whilst a buyer was being sought. Undershaw during the early 1900s (with the picture showing Doyle's children on the driveway).